The first thing that you should know is that there are two kinds of shutters available in the market. These are the external window shutters and the internal ones. Here are some facts to know about them. As the name suggests these are shutters that are fixed on the outside of the house or the office. So it is much like the old types or usual kinds of windows that one has. However, they can be made from different kinds of materials like iron, steel, aluminum, wood, etc. 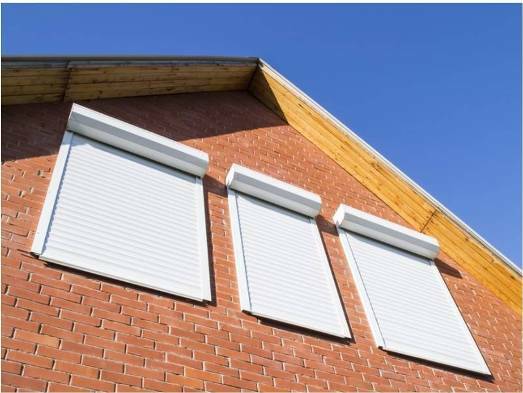 The function of these window shutters is to not only provide security to the house or office but also to ensure that the external environmental or weather factors do not create havoc. They are made to keep light out along with ensuring that they provide security to the house. One can usually find that solid metals like wood are used to provide extra protection but these days fiber glass and other sturdier variations of glasses and even other metals are used. This adds to the aesthetic value of the place and also creates a rich aura. The external window shutters turn out to be more expensive than the interior ones because of the simple fact that they are made from costlier materials. However, this is often mandatory because you need extra protection on the outside of the house as compared to inside. It also means that you use the best quality materials possible to keep weather damage to the least, or else you will be changing your shutters every now and then. These are window shutters that are used in the house or the office instead of the exteriors. These are usually placed in the hinge of the window or in openings where they can easily slide in or go up. The idea is to save as much space as possible in these areas. Unlike the external ones, these internal window shutters are made with the sole purpose of adding aesthetic beauty to the house. So you can find that the best and the most expensive of exquisite wood, glass and other fabrics are used here. These are often customized and etched or painted to create finesse. Another purpose of these internal window shutters would be the fact that they provide relief from external weather conditions, especially during the warm weathers. You can opt for internal shutters made from materials like bamboo to provide relief from the heat outside. These usually contain slats so a bit of the air is allowed inside with sunlight, but the major part of it is guarded outside. So if you are planning to renovate your home or changing your office shutters, do check out the pros and cons of both kinds of window shutters and then make a choice and also you can go through this link for more details about window shutter. This will not only save you costs, but will also help you find a sensible shutter that provides functional value.